10/7/18: Gov. Brown Signs Encinitas Granny Flat Bill! Exciting news! This week, Governor Jerry Brown signed into law the first bill that Encinitas has sponsored in at least the last 20 years. It’s designed to make it easier to permit granny flats statewide, which is a sensible step toward easing our housing shortage. Senate Bill 1226, which took two years to wind through the state legislature, allows a building inspector to certify that a home is habitable and safe using the code from the year the home was built. This means that owners of accessory dwelling units, sometimes called “granny flats” or “backyard homes,” won’t need to bring an old home up to every current building standard in order to get a permit. In many cases, doing that can be physically or financially infeasible for residents. Now they’ll have one more tool to bring their unit out of the shadows. 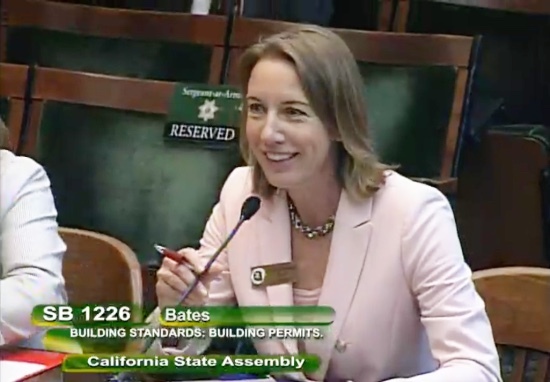 Our state senator, Pat Bates, authored the bill, and I traveled to Sacramento to support it. It becomes law on January 1, 2019. I thank Senator Bates and her office for their collaboration. Here’s an op-ed piece Pat Bates and I wrote for the San Diego Union-Tribune about SB 1226 last July. 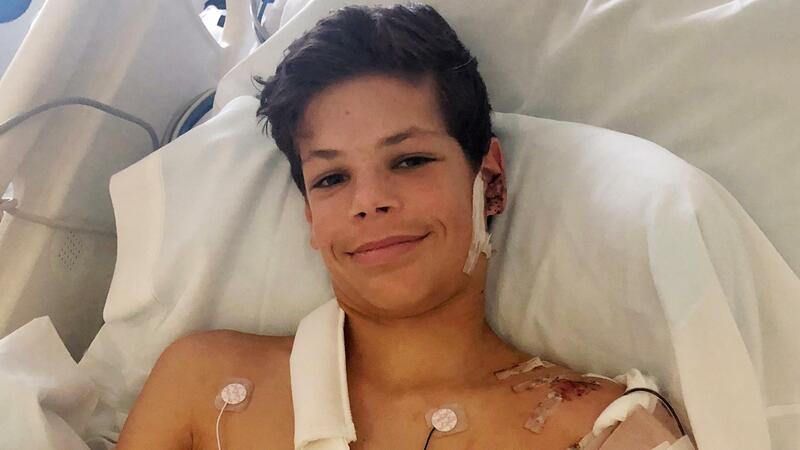 13-year-old Keane Webre-Hayes, who was bitten by a shark last Saturday while lobster diving off Beacon’s Beach in Leucadia, continues to improve and is now home from the hospital. The shark was not spotted again and the nearby Encinitas beaches were reopened after 48 hours. We hear that Keane quickly evaluated the situation after he was bitten and made the decision to swim for the kayak after the attack instead of trying to make it to shore – a move that may have saved his life. Here at the city we intend to honor the heroic members of the public who were inside the kayak that rescued him, other first-responders in the water and on the beach, as well as Keane and his family – when he and his family are up for it. We sent Keane a card from the City of Encinitas, and in it I expressed my hope that this incident won’t dampen his adventurous spirit. What a scary experience, and we’re so thankful it ended better than it might have. Here’s a 10News story on the aftermath. You’ve probably noticed the new light rail trolley track being constructed by SANDAG above the I-5 freeway around La Jolla Village Drive. This $2 billion project is fully funded and on schedule. 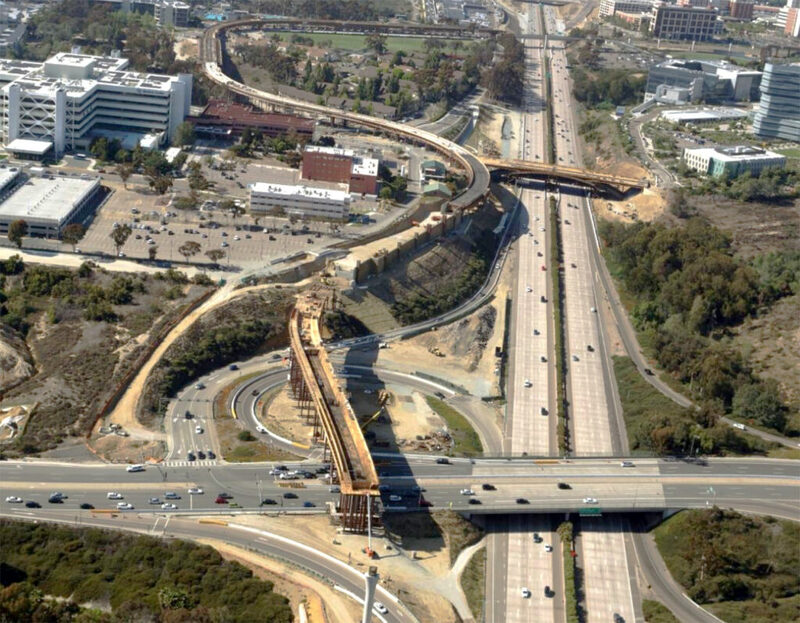 We received a progress report this week at SANDAG. 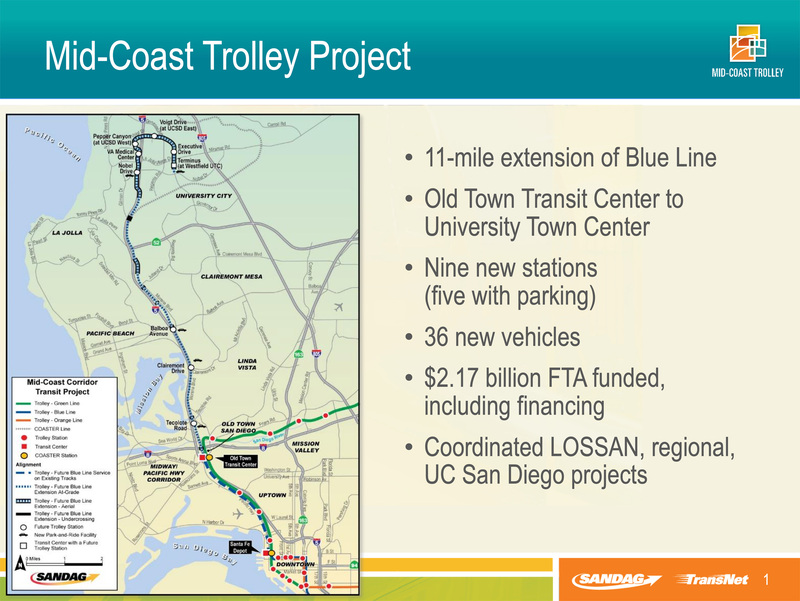 The 11 miles of elevated train will connect the job center and student hub located at UTC (University Town Center) and UCSD with the existing transit center at Old Town. The Mid-Coast Trolley is scheduled to be completed in 2021. After completion, you could board a train at the U.S. Mexico-border and without leaving your seat travel all the way to UTC and UCSD along the Blue Line. How cool is that? The next major transit project that needs to be planned is the trolley extension into North County, including Encinitas. This week I participated in the final campaign forum before our November election. 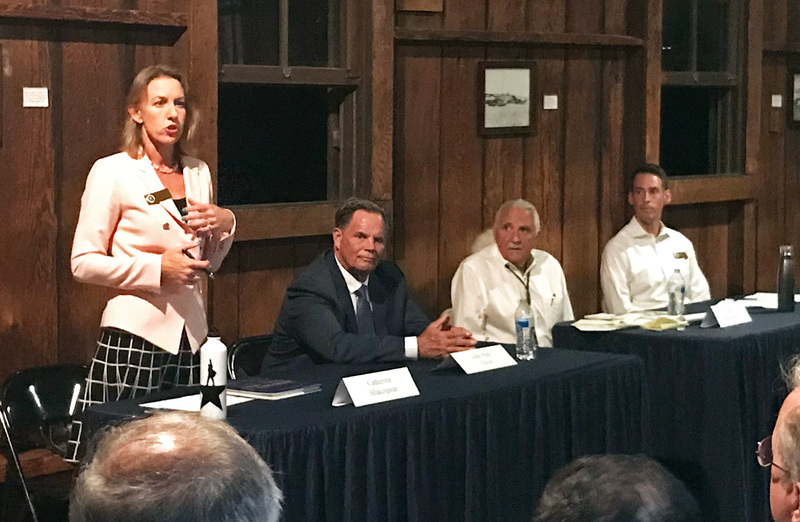 Hosted by the Olivenhain Town Council, the forum paired my opponent John Paul Elliott and me together with the two City Council candidates from District 4, incumbent Joe Mosca and challenger Tony Brandenburg. It’s always heartening to return to this rustic town hall that’s well over a century old to discuss our dreams and plans for Encinitas’ next several decades. This Coast News article, “Encinitas Mayoral Race Provides Stark Contrast Between Candidates,” effectively distills the differences in the mayor’s race. The forum itself is detailed in this Encinitas Advocate piece, and this Coast News article highlights the matchups in our two City Council district races. Who owns the name “Leucadia”? Check out this interesting happening in Leucadia, which provoked and offended the fierce community pride most Leucadians feel. 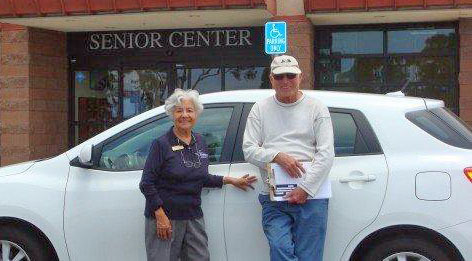 The Encinitas Senior Center is looking for a few good volunteer drivers who can spare some time each week to take senior citizens to the grocery store, appointments, and other essential errands in Encinitas. There’s a waiting list of seniors in need of a volunteer driver, so anyone interested in “giving back” to the community is encouraged to apply. The Senior Center pairs a volunteer driver with a passenger that would benefit from the days and times that the volunteer driver is available.Volunteer drivers are reimbursed at the current annual IRS rate per mile, up to 100 miles per month per passenger. This is a great opportunity to “pay it forward” and experience the satisfaction of making a real difference to fellow Encinitans in need. For more info, call 760-943-2256 or click here.Oktoberfest is the best! 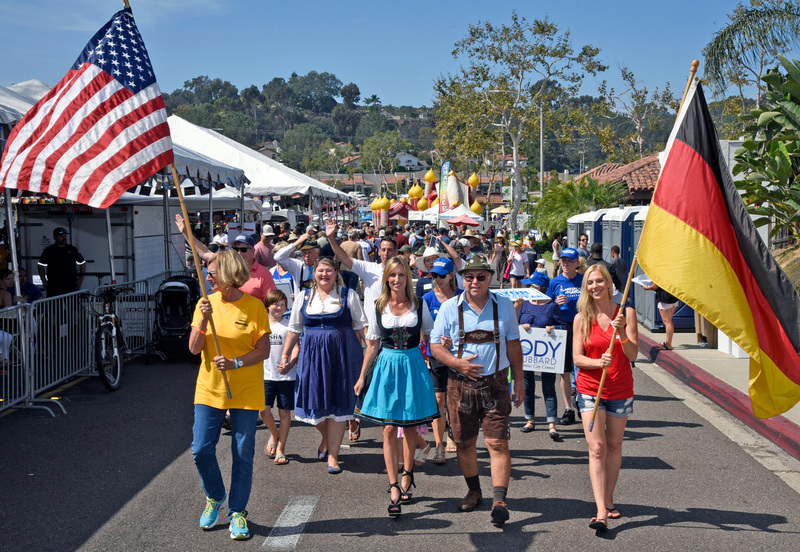 The Encinitas Chamber of Commerce’s Oktoberfest celebration was another great success again this year! 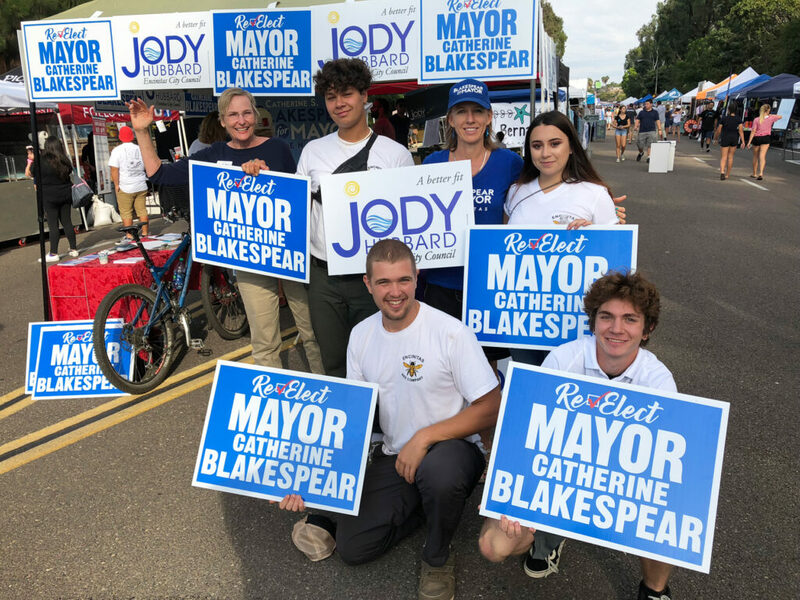 The political parade with all the candidates and their signs (as seen in the top photo by McKenzie Images) was a feel-good affair where many of the candidates, including me, spent all day at a booth talking to residents about their pressing issues. 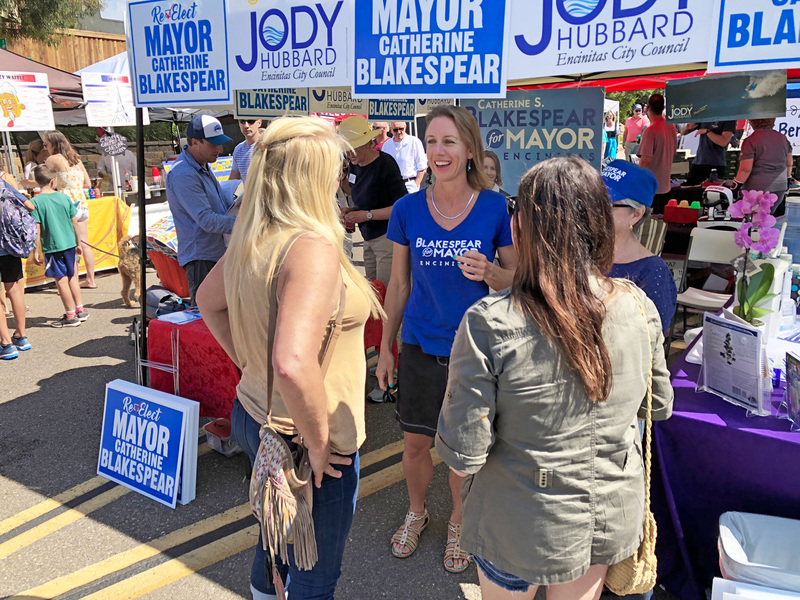 Although candidates were offering very different visions for the future of the city, the region and the state, I was heartened that I didn’t witness any hate speech or abusive behavior by organized groups or individuals. There is some comfort in being a part of a discourse that remains civil at the local level. And finally, I’d be most grateful for any campaign contribution that you feel compelled to donate. The simple truth is that it takes money to win a campaign. If you like the direction of the city and the leadership, transparency and service that is provided to Encinitas constituents, please contribute here! You can also volunteer or get a free yard sign here. I hope you are enjoying fall and were reinvigorated by our recent autumn rains! Today, Sunday, October 7, Noon to 4:30 p.m.: Surfing Madonna Beach Run at Moonlight Beach. I’ll be presenting the Environmental Awards on the main stage at 1:15 p.m., then my family and I will be joining thousands for the world’s largest beach run event! Monday, October 8: Mail ballots begin arriving. Completed mail ballots must be returned or postmarked by Election Day, November 6.